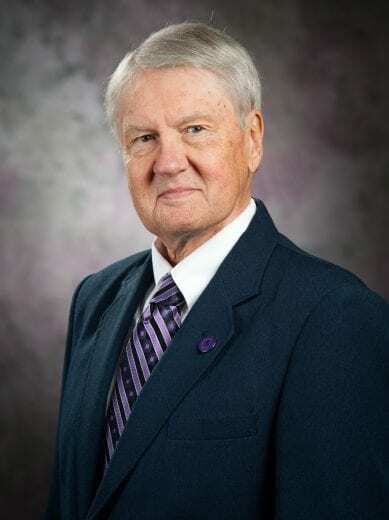 Rob Denell, university distinguished professor emeritus of biology and former director of the Johnson Cancer Research Center, passed away Friday, Nov. 23, 2018, in Kansas City, Kan.
Denell came to K-State in 1973. He was a professor in the Division of Biology, rising quickly through the ranks to full professor by 1983 and named a university distinguished professor in 2000. He served as director of the JCRC from 2003 to 2016. Denell had a prolific research career in genetics and evolutionary developmental biology, and mentored numerous students and postdoctoral fellows. As a cancer survivor, serving the cancer research center was especially meaningful to Denell. Moreover, his impact was profound. He helped the young center mature and thrive, seeing impressive growth of its faculty and endowment.